In Level 3, the past tense - a form that is critical to effective retelling of events - is systematically introduced. The words at this level involve more advanced concepts, the stories are longer and extend over two books. 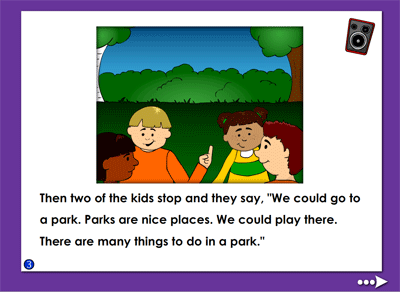 Comprehension activities are introduced aimed at teaching children the vital skill of knowing how to summarize stories. Here is an example of teaching the word "think" through the Find and Fill format which teaches spelling. In teaching spelling, it's common to ask children to write the same word several times in a row. Unfortunately, this tends to be ineffective. It's important to get the child to focus in a more thoughtful manner. The Find and Fill format is designed for that purpose. 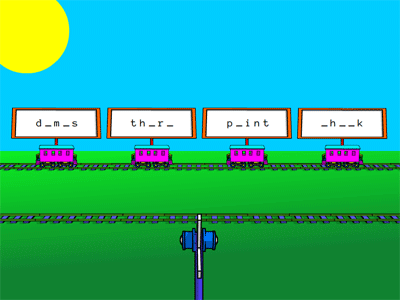 For example, as you can see with the word think, the child first sees a model of the word. Then a set of incomplete words appears and the child is asked to find the one that can become the target word. 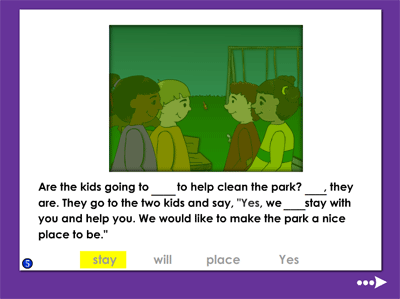 Here is an example of teaching the super sight word "could" through the Replace the Space format. Which gives children additional insight into the meaning and use of this special category of words. (Super sight words are a group of about 100 words - all of which are taught in ASD Reading - which occupy 50%-60% of every page of text in the English language.) This format offers the target word and embeds it in a sentence where several of the other words have missing letters. After the words are filled in, a graphic appears that illustrates the meaning of the sentence. After learning all the words in a book, children are given the book to read and/or have read to them by the program. Level 3 has 6 books. Here is a sample page from Book 17. In Level 3 children are given a comprehension section at the end of each book called Gleaning Meaning. This helps children to capture the "main idea," a critical aspect of reading.